The Woo-Woo is being defended by Joe Zee during Canada Reads 2019. The debates take place March 25-28, 2019. 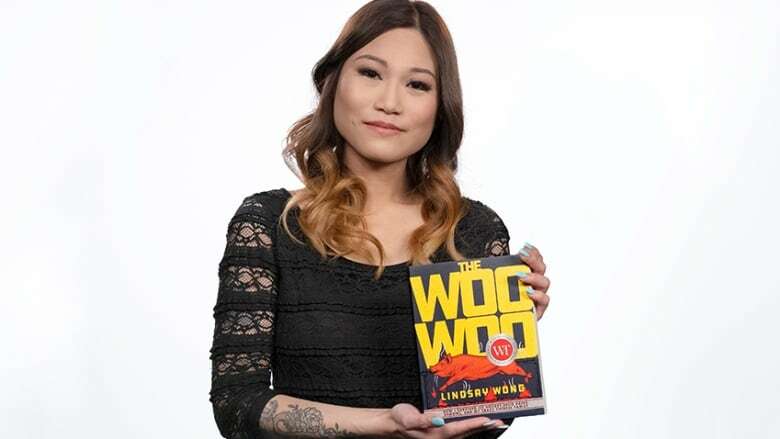 Lindsay Wong is a Vancouver-based author. Growing up it was normal for her family members to blame supernatural forces for anything going wrong in their lives. Wong wrote her darkly comedic and irreverent memoir, The Woo-Woo, as a way of unpacking her childhood and addressing rarely-talked-about mental health issues in her family. Now, The Woo-Woo is a contender for Canada Reads 2019, where it will be defended by fashion guru Joe Zee. Wong recently spoke with CBC London's Afternoon Drive host Chris dela Torre about her challenging childhood and using humour to cope. "The Woo-Woo refers to Chinese ghosts. My family, especially my father, didn't actually have a name for the word ghost in English, so he came up with the sound of what a ghost would make — woo-woo — which then became the title of my book." "My family doesn't believe mental illness exists and they sort of blame everything on ghosts and demons and supernatural happenings. The woo-woo became a way for us to sort of explain what was happening in our lives." "I think humour is so important, especially for anyone who's writing about serious or traumatic subjects, from a craft point of view, but also as a way to make the reader be able to get through certain passages. If I couldn't make myself laugh how can I write this passage, how can I get readers to read with me and to follow my journey." "I actually didn't think about readers — I just wrote it. I wrote the book for myself. If I had thought about people reading the book I might have been hesitant, but the words just came on the page. It was something I felt I needed to do because mental illness is something that we don't talk about — especially in Asian culture, in Chinese culture — we kind of dismiss it we ignore it. Just being able to break the silence is really important." "Canadians are going to be moved by The Woo-Woo because it's a story about an immigrant family. It's a story about triumphing over demons and surviving. It's also a call to action about mental illness because it affects everyone, and in our Asian culture we just don't talk about it. Just being able to openly discuss depression or anxiety is something that I think is very important." "My family is pretending that [the book] doesn't exist. We don't really acknowledge it. My brother did tell me our parents got it from the library. They put it on hold, they were number 10, and they waited patiently for it because you would never buy a $20 book, it's too much money — even if it's your daughter's. They got the book and I asked my brother, 'Did they read it?' And he's like, 'Yeah, I guess so.' I'm like, 'OK, so what do they think?' And he said, 'I don't know.' And that was the only conversation we ever had. So we're not really talking about the book. "In Asian culture, especially my family, you don't outwardly support your kids. I remember when we hit number one on the Vancouver Sun's bestselling list, my dad saw it and he didn't say anything. He was like, 'Oh, I saw your name on the news,' and then he walked away. I guess that's acknowledgement from my family." "It definitely still feels very surreal. I was joking with my agent I said 'What sort of weirdo would pick this book?' But it turned out to be the wonderful Joe Zee, who's amazing and he just truly gets the book. I couldn't be more honoured. "We'll find out what happens, I guess when I'm watching the debate or listening to it. I think some of my friends want to have a viewing party and I'm like 'OK, it's Canada Reads. Why not?'"